The video is the first of a series that will be shown on the official Dainese YouTube communication channel from September. Click the image below band see for yourself. The video series, made up of a further eight videos, aims to let people get to know Dainese and their products by weaving together stories about the men and riders who make, and made, the company what it is. The key figure is the current President of the company, Lino Dainese, who made safety for bikers his mission in life. Other main players include riders such as fifteen–time World Champion, GiacomoAgostini, 1981 500cc World Champion Marco Lucchinelli and the nine-time World Champion Valentino Rossi. 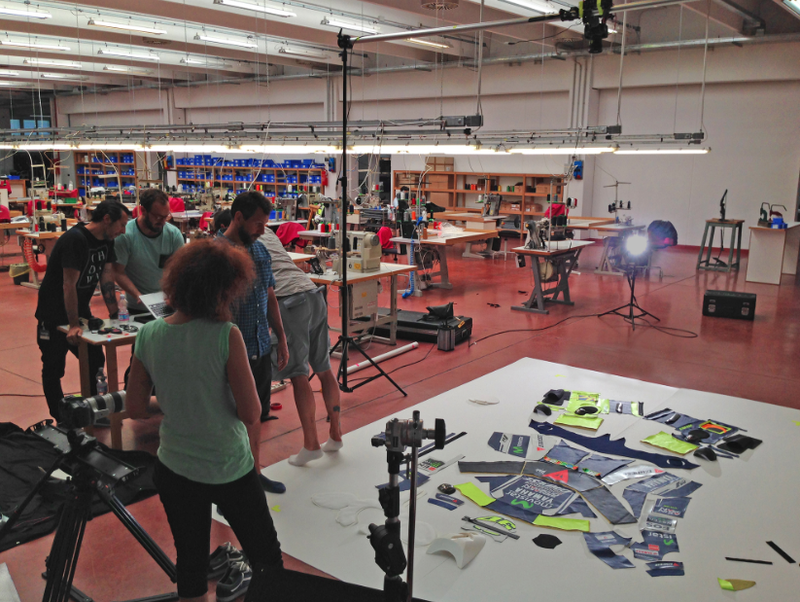 The nine videos will also feature the three main sites of the Dainese Group. First will be the original site at Molvena, nestling in the hills of Vicenza not far from Marostica. This is the base for D-Tec®, the Dainese R&D department, and for the D-air® air-bag laboratories and workshops where tailor-made suits are produced and where suits belonging to both World Championship riders and Dainese enthusiasts are repaired. The modern site at Vicenza will be next. This is where the Dainese sales and marketing offices are located not to mention the famous Black Cube that houses the Dainese automated warehouse and symbolises efficiency and a modern approach to logistics. The last video will feature Campodoro, in the Province of Padua, where top of the range AGV and Dainese helmets are designed and manufactured.